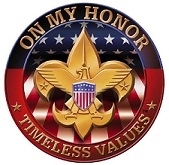 Troop 888 leadership is made up of dedicated adults who believe in raising young men to become good citizens by following the Boy Scout Law and Oath. We aim to do this through example. "Preach the gospel always, if necessary use words." - St. Francis of Assisi. To keep my self physically strong, mentally away and morally straight. Below is a list of Leaders who make Troop 888 GREAT for the scouts. Please contact the Troop Committee Chair, the Scout Master or any of the other members if you have questions, comments or would like to join us.